Are your wall cracks serious? Without hiring a foundation repair expert, there's no exact way to determine how serious your wall cracks are. However, you may be able to inspect the crack to determine if it is a natural aging process or a major concern. Homes usually settle even after new construction. But if you notice gaping cracks or separating horizontal cracks, then you may have foundation failure. At Jerry's Waterproofing, our experts are trained to identify signs of settlement. We have the skills and expertise to determine how serious your wall cracks may be in your Iowa and Nebraska home. 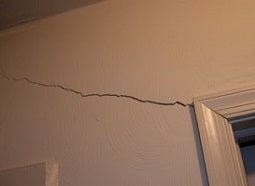 Regardless of what is causing your wall cracks, we can repair them quickly so you can have peace of mind. How Serious Are Your Wall Cracks in Iowa and Nebraska? Also, look for sticking doors and windows. Settling foundations have sticky doors that are accompanied by visible wide gaps at the top of the door. 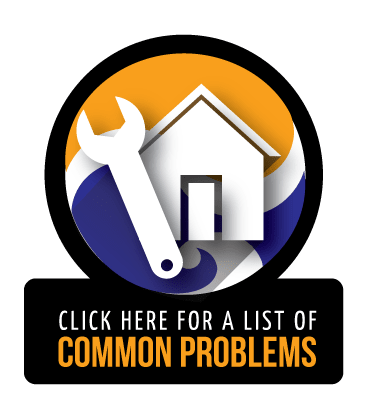 If your home has any of these signs, contact our professionals. We offer foundation repair solutions to restore your foundation back to normal. 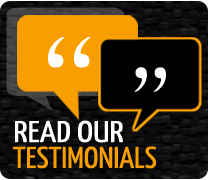 Wall cracks can be permanently repaired by our foundation repair experts in Nebraska and Iowa. At Jerry's Waterproofing, we use the latest products by Earth Contact Products (ECP). 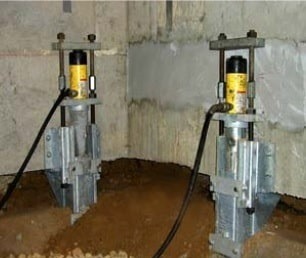 ECP is the leading manufacturer in underpinning. We can install steel piers made of galvanized steel. These piers are easily installed without disrupting your property. Each pier is load tested and built to endure heavy loads. Another solution is helical piers. If wall cracks are caused by settling stairs and stoops or chimney problems, our helical piers can raise and stabilize the foundation back to normal. Helical piers use portable equipment, causing little to no disturbance to your home. Jerry's Waterproofing will find the cause of wall cracks and find the best foundation repair solution. We'll take care of all your wall crack repair needs in Nebraska and Iowa. We provide free estimates, so contact us today to schedule an appointment.